Home » Build Muscle » Grip Strength: How to Improve Grip Strength FAST! Grip Strength: How to Improve Grip Strength FAST! Do you want bone crushing grip strength or not?? Do you want to be a man or not?? Assuming you value the gift that is our opposable grip, read on! Grip strength is not simply how strong your hands are. Grip strength is a cultural test of how manly you are. Ever meet a guy who shakes with the “dead fish” grip? This guy is a Pu$$y! My point exactly, don’t be that guy. When you go to shake someone’s hand, you grab them firmly, look them in the eye and without a word, you both know who the dominate male is. Grip strength can be measured by fancy equipment like a Dynamometer, but who has time for that. Let your grip strength be measured by the lack of lifting straps when you deadlift or your ability to roll-up a frying pan like a joint. Jiu Jitsu, Wresting, Judo, Mixed Martial Arts (MMA), etc. There is nothing more fearful than when an opponent grasps your arm/gi and you cannot get it back. Stronger grip is correlated with decreased chance of injury, faster reaction time, increased physical & mental performance and even life expectancy is longer when your grip is better (1, 2, 3). Grip strength is the mark of a man. So, read on and get yourself training! Crush grip is when you wrap your hand around something with fingers on one side and thumb on the other. In this case the fingers and thumb usually pass each other around the object. Think grabbing barbells, dumbbells, rope, or even something thicker like a cup. So long as the tips of the fingers can “wrap” it can be considered a crush type grip. Pinch grip is when you “pinch” something between the thumb and fingers. Usually with this grip the fingers remain mostly straight. Think grabbing a weight plate, piece of wood or something thicker like your waist. Support grip refers to the grip used when the thumb typically is not involved. Think of things like carrying a grocery bag, chin-ups or bar hangs with the thumbs alongside the fingers and for the grapplers out there; think Gable Grip or S Grip. Now let’s get into the good stuff. Just like any exercise program, you want to ensure you are training ALL of the muscles through their full range of motion and in all of their planes of motion (I’ll explain later). In addition, you want to stretch the muscles & give them adequate rest. So how do we apply all this to the muscles of the forearm and hand? These are muscles that move the hand but have their origin & insertion (connections) points within the hand. These muscles are very small and tend to be weaker. Nonetheless, they are very important to grip strength. There are many of these muscles 15-20 depending how the anatomist groups them. Extrinsic muscles move the hand, but attach outside of the hand, crossing the wrist joint(s). Most of these muscles are a bit stronger and do larger movements then the intrinsic muscles. There are several of these muscles as well, not as many as the intrinsic guys though. Muscles of the wrist obviously play into grip strength and need to be accounted for. These muscles move only the wrist and in specific directions for each muscle; up, down and side to side. Fun Fact; it’s the muscle of your wrist in your forearm, specifically your extensor carpi radialis longus and your extensor carpi ulnaris muscles that become well developed when your single….If you catch my drift…. Forearm specific muscles are not what you think of when you “flex” your forearm. These muscles are smaller, their actions are to rotate the hand. There is one exception of these muscles that is “big”, your brachioradialis, that’s the muscles that pops up when squeeze something like a bottle. So now that you know there are over 30 different muscles directly playing into this you may be realizing….Grip strength may take some educating to do properly. Grip strength has many different functions in our lives and to be strong in those various functions you must train in each….. Specific Adaptation to Imposed Demands; means you will get better at what you train (4). ie; if you want to be a better swimmer, go swimming. Running won’t make you a better swimmer. For grip strength you must think about all the ways it applies in life/lifting (same thing to me) and train each. Recall the “planes of motion” I mentioned earlier? Here’s where I explain them. Multiplanar Movements – Those movements where you go through multiple planes of motion. You must work each muscle group in all three planes of motion. The position of your arm while grabbing will have a great effect on grip strength as well. Likely you can hold a 35lb kettlebell at your side with no problem. Now try and hold it the same way but with your arm overhead and bell up. When you have your arm at your side your body is very stable and holding 35lbs is no problem. When you toss the bell overhead your grip has to work MUCH harder to hold the bell in place. Your core and shoulder stabilizers have to fire like crazy too. Now bump down to a 13lb kettlebell, keep the same hand position and just try bending at the elbow. Nearly impossible! This is now challenging an entirely different chain of muscles…a much weaker chain. But as you feel, your grip is giving out, along with your bicep and probably core and shoulder stabilizers are struggling too. Back to the SAID principal, if you don’t train all the arm positions, you won’t be strong in all the arm positions. There are dozens of different arm, elbow and shoulder combinations to consider. And if you want well rounded grip strength you must train them all. Endurance or One Rep Max? Is this exercise an all-out effort for my hands? Lift something heavy and put it down. Or is this an endurance challenge? How long can I hold it for? Or hold it for X amount of reps. Working muscles through their full ranges of motion is critical. 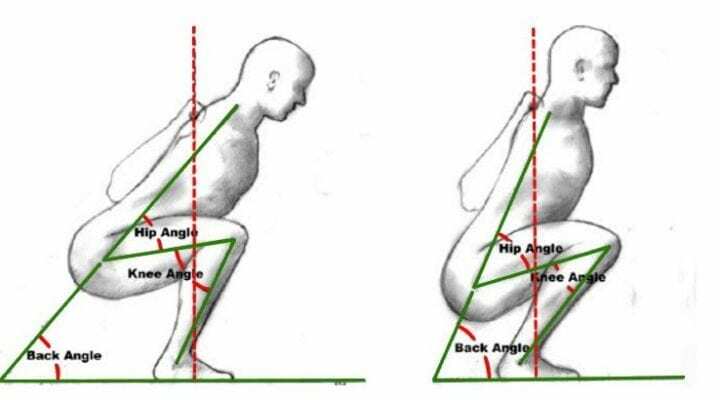 When a muscle is worked in a limited ROM it will lead to decreased function and eventually, injury. It is understood that sometimes ROM is limited due to injury or other circumstances; in these cases, do your best. Training the extensors (opposing muscles group to grip) is very important. If you only train grip strength you will start to experience overuse injuries like golfer’s elbow, muscle cramping, and this may lead to actual injuries. Imagine if you only trained your pecs, and never your back. Eventually your shoulders would be super rounded forward, your thoracic spine would be rounded and you’d have all sorts of functional problems….not cool! No different with the muscles of your forearms & hands. Now that we know the width and depth of knowledge that must go into grip strength training, let’s look at getting it built up! There are many common exercises that are great for training grip strength. The key is to pick a variety and use them across all the possible variables mentioned above. When reading the exercises listed below…. You can change the hand and arm positioning for all of them to work different muscles in different ways; you can change the line of pull to work different planes of motion; you can beast out one huge effort or work through multiple reps; most of these can be static or dynamic exercises too and finally, use full ROM. That’s where the magic happens for all training. Don’t do the same exercises time and time again. Keep the muscles guessing by changing the variables. A farmers walk is simply holding something heavy in one or both hands and walking with it. If you’re only holding in one hand it is very important to keep your core engaged and your body straight. If you begin to lean, you’re done. For an overhead carry, grasp a weight and put your arm straight up so wrist, elbow and shoulder are stacked vertically. Walk with the weight this way. Same rules apply for a straight body as above. These can be anything from a regular ol’ two arm hang to variations of bar grips (one hand neutral, one hand supinated, etc) to bent arm and even single arm hangs. All around hangs are an excellent challenge of your grip strength. Try moving with it too, like grown up monkey bars. Using a towel (gi if you’re in martial arts) for your hangs can really add a challenge at the fingertip level. This will be very difficult to do at first, work your way up from hangs to pull-ups. Wrap a towel or gi around a barbell connected to a landmine and do rows with it. The simple change of grip from a bar to a towel will be a challenge. Try implementing this for a cable row too by sliding a towel through a carabiner. Doing your rows but holding the sleeve of the barbell increases the diameter of the object your gripping. This makes holding the bar very difficult. There is a unique tool called “Fat Gripz” that are designed to fit around dumbbell handles or barbells to accomplish the same mission. Doing a reverse curl using an EZ curl bar (dumbbells or barbell work too) will bring in muscles of the forearm in a functional way and can really increase grip strength. Try hammer curls too. Simply grasp two 10lb weight plates and pinch them together face to face. Hold in one hand as long as possible. To really up the challenge, try 3 or 4 10lb plates. This is more of an isolation exercise and although isolation exercises aren’t as functional, they still do a great job of building strength. For a wrist curl, kneel on one side of a bench with your forearms on the bench and wrists hanging off the far side with palms facing up. Curl a barbell or dumbbells up in full wrist flexion, repeat. This is another isolation exercise. Same as the curl, just flip the hands to palms down to start. Try doing this with a dumbbell in a pistol grip too to work the brachioradialis directly. There are a ton of tools out there to help train your grip strength. Most of them are really good! As mentioned earlier, Fat Gripz can be put over any standard size bar or dumbbell to increase the diameter. Fat bars are just bars that have thicker handles. These are a very simple product, just thick rubber bands with different challenge levels to work those very important and often neglected extensors. I keep a set in my car and use them when I drive. The purpose of this is very similar to the above-mentioned product. However, this tool can be used for individual fingers and has a “stress” ball attached to squeeze for full grip training. I’m also a sucker for their Rock Rings. Rogue Fitness has an amazing variety of options with these, from cage mounted to cannonball grips, etc. I heart them all. This uses grip strength in such a non-traditional way, very challenging. As a Brazilian Jiu Jitsu practitioner and formerly pro MMA fighter, I am partial to specific training tools like this. Jits Grips are actually made from a Gi and can attach to a pull-up bar, or cable machine. So great for sport specific grip strength! Honestly, if I could, I would buy at least one of everything on their site. And I have no affiliation with them or any of the other products/companies I listed above. A better understanding of what grip strength is, what all goes into training grip properly and some good exercises and tools to get you going. If that’s not what you got, go back and read it again. 4. “What Is the SAID Principle?” National Federation of Professional Trainers, 5 Apr. 2018, www.nfpt.com/blog/what-said-says.